William Williams was one of the first builders in Philadelphia who began to look at the construction of buildings as architects would in later years. He owned copies of some of the first books ever written on architecture and traveled to London to study architecture. Williams became a part of The Carpenters’ Company, and used this organization to find commissions. In the Pennsylvania Packet of January 4, 1773, Williams advertised his skill in building elegant shop fronts and also houses in the new style of Robert Adam. During the Revolutionary War, he fought with the Continental Army and rose to the rank of lieutenant colonel. He was taken captive at the Battle of Germantown and was able to escape from a British prison a few months later. After the Revolutionary War, Williams resumed his profession. His known projects include two Philadelphia residences which still survive at 435 and 427 Spruce Street. Williams was in charge of the Carpenters’ Company’s float, with its thirteen Corinthian columns, in the Grand Federal Procession of July 4, 1788. He was also involved with the construction of the Library Company Hall (designed by William Thornton) in Philadelphia and was consulted in the building of the United States Capitol. 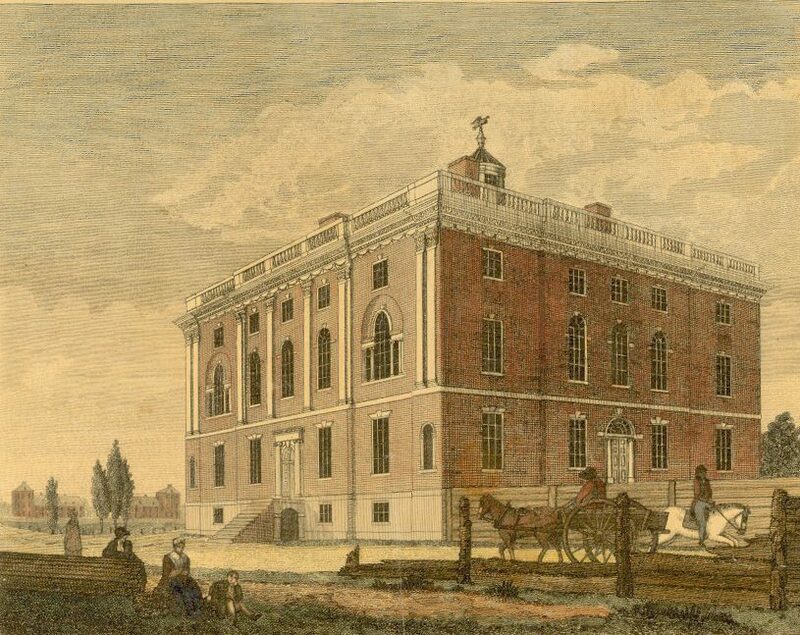 In 1792, William Williams was commissioned to design and construct a residence for the President of the United States in the City of Philadelphia; construction was finished after his death in 1797. Since Washington, D.C., was made the national capital, with the White House as the residence of the chief executive, this Philadelphia President’s house was never used by a president. Instead, Williams’s building was purchased by the University of Pennsylvania and renovated by Benjamin Latrobe to be used as Penn’s second campus.